If starting a dealership in South Carolina is on your mind, read on for all the details you’d need to launch your business. The first step you have to take is to get a SC dealer license from the state DMV. This is the only way to operate legally in South Carolina. You would need to meet a range of licensing requirements, including obtaining a SC auto dealer bond. The SC Department of Motor Vehicles regulates the activities of auto dealers in the state. It has established the license types for which you can apply, which give you the right to sell different types of vehicles. All license types are valid for one year. 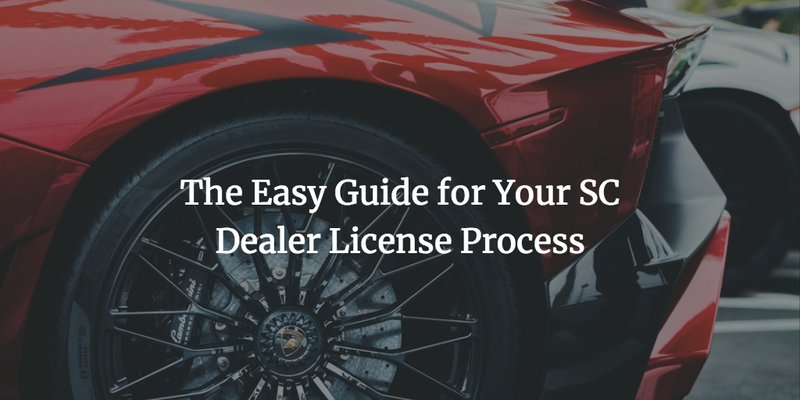 You have to undergo the SC dealer license renewal annually in order to ensure your legal compliance. Operating without a license results in fines, and can even be considered a misdemeanor. One of the requirements all types of dealers in SC have to meet is posting a surety bond. It is a security instrument that guarantees your legal compliance. It protects your customers and the state against potential illegal actions on your side. The bond price that you have to cover to get bonded is only a fraction of the required amount. It is called the bond premium and is often between 1% and 3% for dealers with solid finances. The exact cost is formulated after a careful consideration of your personal credit score, business finances, and other assets or liquidity available. The less bonding risk you pose, the cheaper your bond price is likely to be. Still have questions about getting a SC dealer license and bonding? Don’t hesitate to contact us at 877.514.5146.